Bird vector illustrations. Silhouettes of the bodies of two doves made out of various abstract shapes. Long beaks and big eyes on the animals, big tails with long feathers. 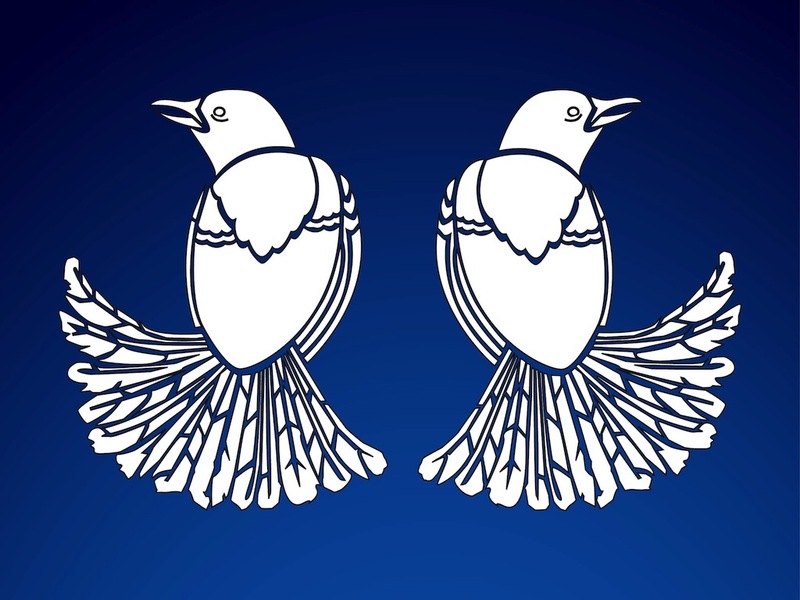 Free vector bird illustrations for all animals, nature, symbols of peace and spring projects. Abstract bird for posters and clothing prints. Tags: Abstract, Birds, Doves, Invitation, Peace, Shapes, Silhouettes, Wedding, Wings.